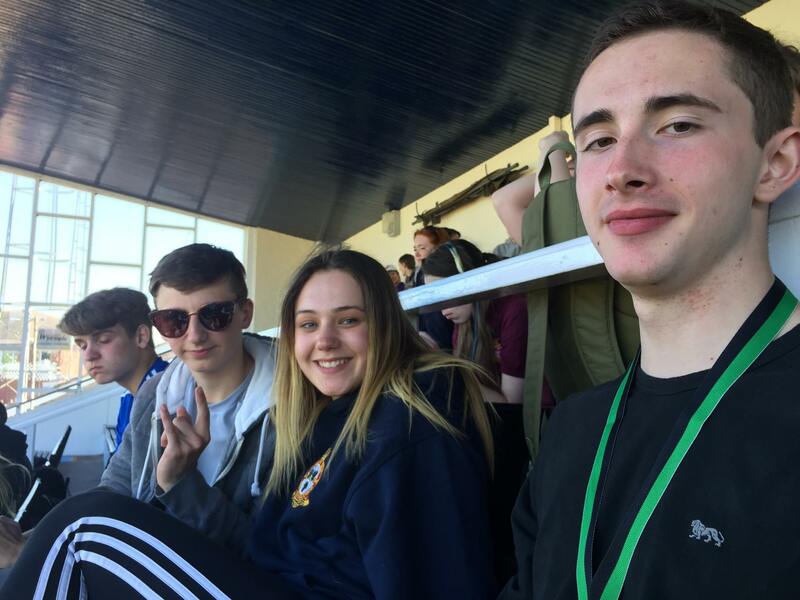 On Sunday 7th May 2017, cadets from 2497 (Cosford) Squadron, along with the other squadrons in West Mercian Wing, took part in the annual Inter-Squadron Athletics at RAF Cosford. The day involved both track events (100m to 1500m) and field events (such as javelin, shot put and discus). As well as each cadet being scored individually, each squadron also accumulated points that went towards each sports trophy up for grabs. Below are pictures from the day, including the medal winners from our squadron. 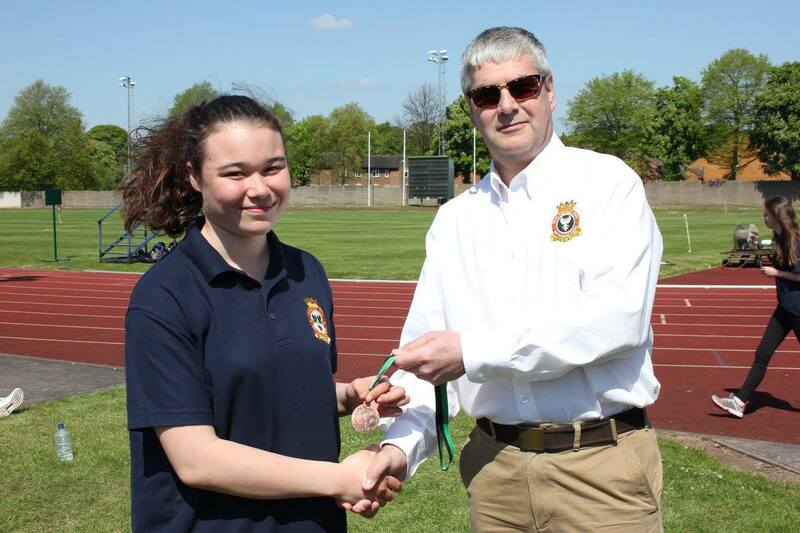 Below: Cadet Corporal A. Bryan collecting her gold medal from Wing Commander Andy Griffin Officer Commanding West Mercian Wing for coming 1st in 400m for her age category. 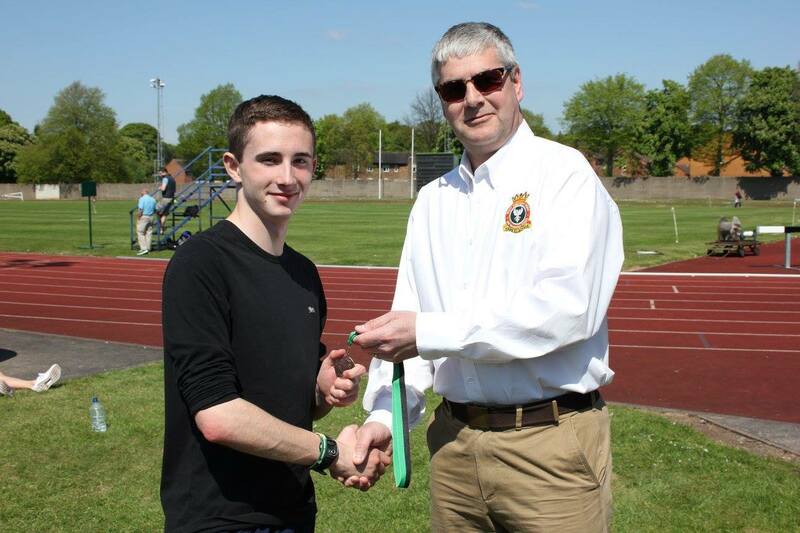 Below: Cadet D. Maddison collecting his gold medal from Wing Commander Andy Griffin Officer Commanding West Mercian Wing for coming 1st in 400m in his age category. 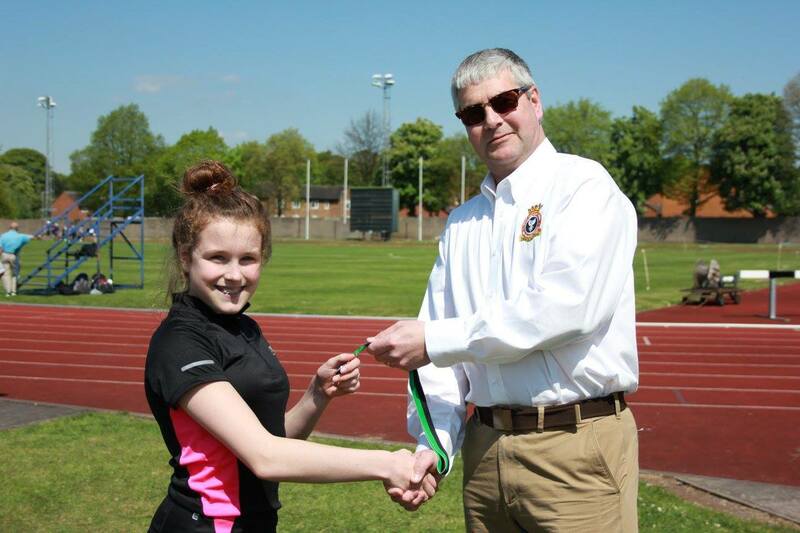 Below: Cadet N. Wake collecting her silver medal from Wing Commander Andy Griffin Officer Commanding West Mercian Wing for coming 2nd in 200m in her age category. 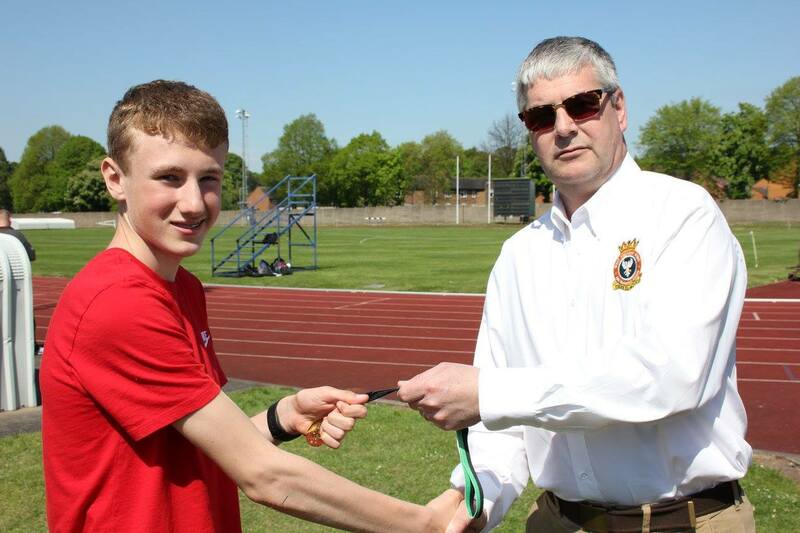 Below: Cadet S. Jones collecting his gold medal from Wing Commander Andy Griffin Officer Commanding West Mercian Wing for coming 1st in 1500m for his age category. 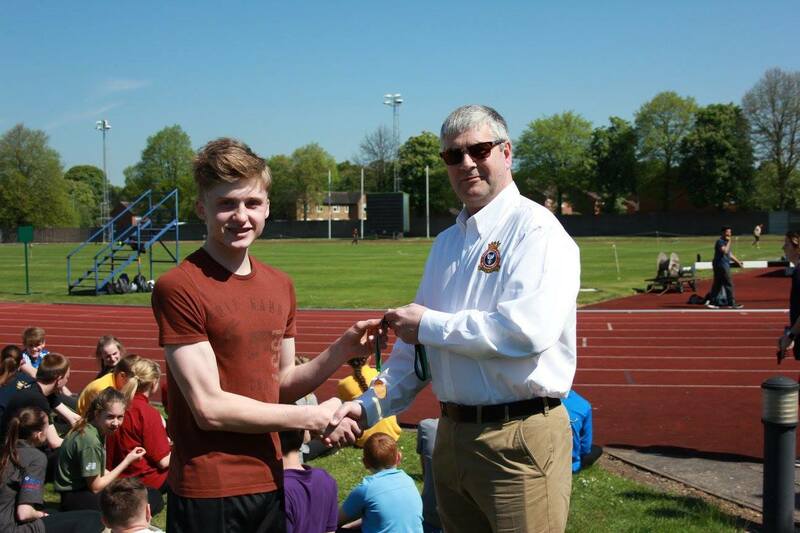 Below: Cadet D. Maddison collecting his second medal(!) from Wing Commander Andy Griffin Officer Commanding West Mercian Wing for coming 2nd in 200m for his age category. 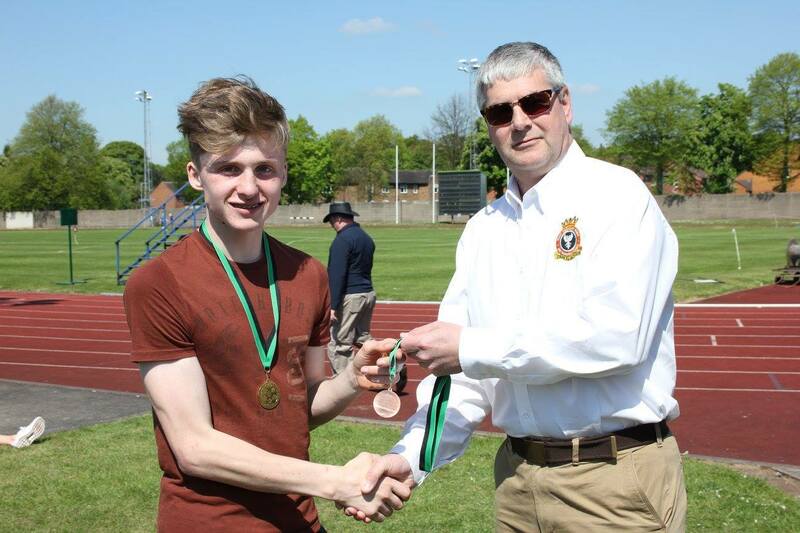 Below: Cadet Flight Sergeant A. Killeen collecting his bronze medal from Wing Commander Andy Griffin Officer Commanding West Mercian Wing for coming 3rd in 200m for his age category. 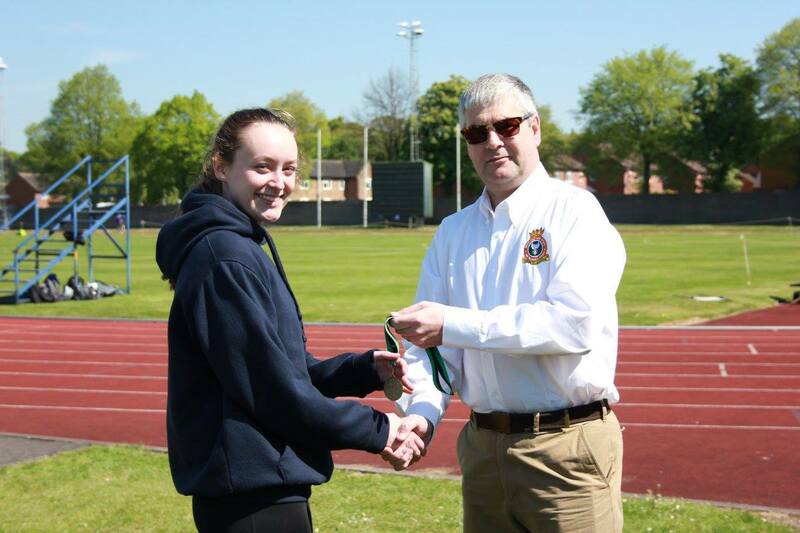 Below: Cadet Flight Sergeant C. Weetman collecting her bronze medal from Wing Commander Andy Griffin Officer Commanding West Mercian Wing for coming 3rd in 200m for her age category. Below: Civilian Instructor C. Pritchard, Cadet Flight Sergeant L. Pritchard, (then) Cadet Warrant Officer R. Phillips and Cadet Wright. Below: (then) Cadet Warrant Officer R. Phillips and Cadet Flight Sergeant L. Pritchard. 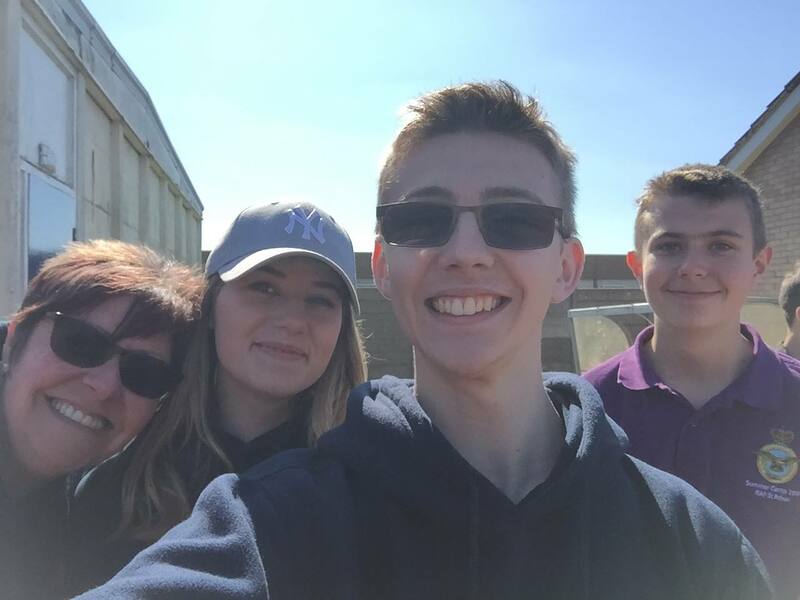 Below: Cadet M. Jones, Cadet Corporal T. Gent, Cadet Sergeant H. Vinall and Cadet Flight Sergeant A. Killeen. Below: Cadet Corporal A. Cooper, Cadet Flight Sergeant C. Weetman, Cadet Corporal C. Walthorne and Cadet Corporal J. Tucker collecting their medals from Wing Commander Andy Griffin Officer Commanding West Mercian Wing for coming 3rd in the relay for their age category. 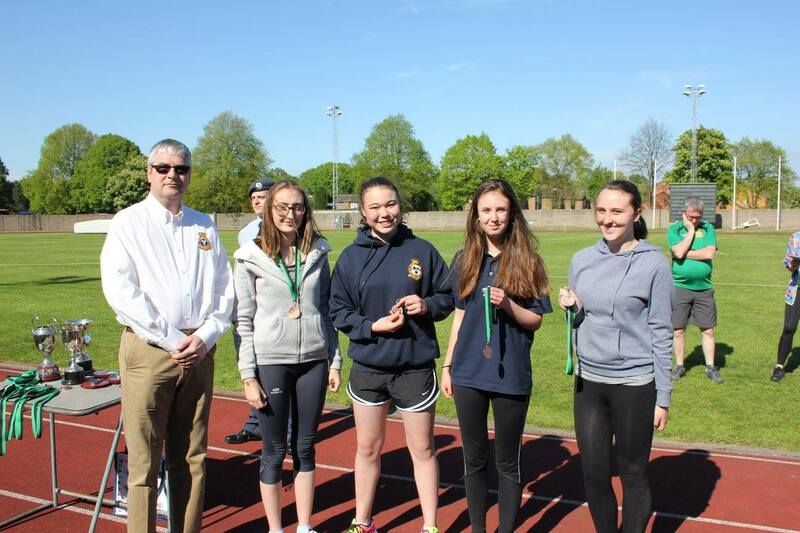 Below: Cadet Corporal A. Bryan, Cadet D. Smith, Cadet N. Wake and Cadet L. Nixon collecting their medals from Wing Commander Andy Griffin Officer Commanding West Mercian Wing for coming 3rd in the relay for their age category. 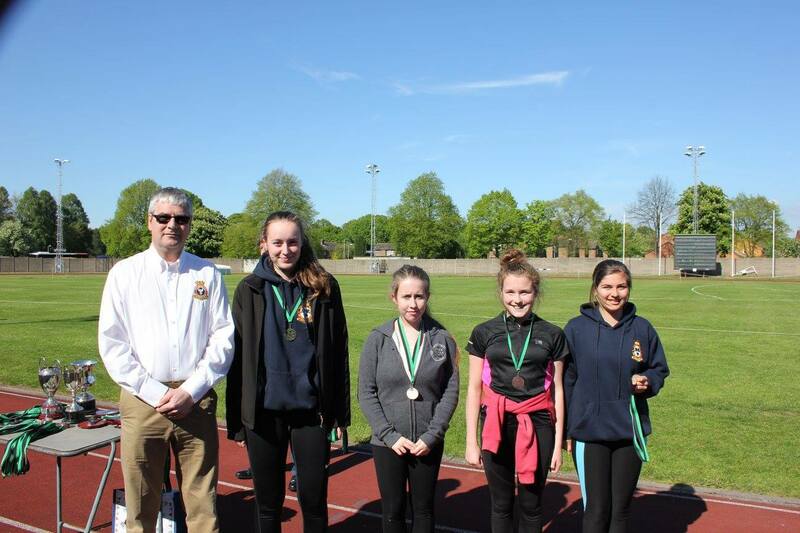 The overall winners of the Inter-Squadron Athletics 2017 were 83 (St Georges) Squadron. 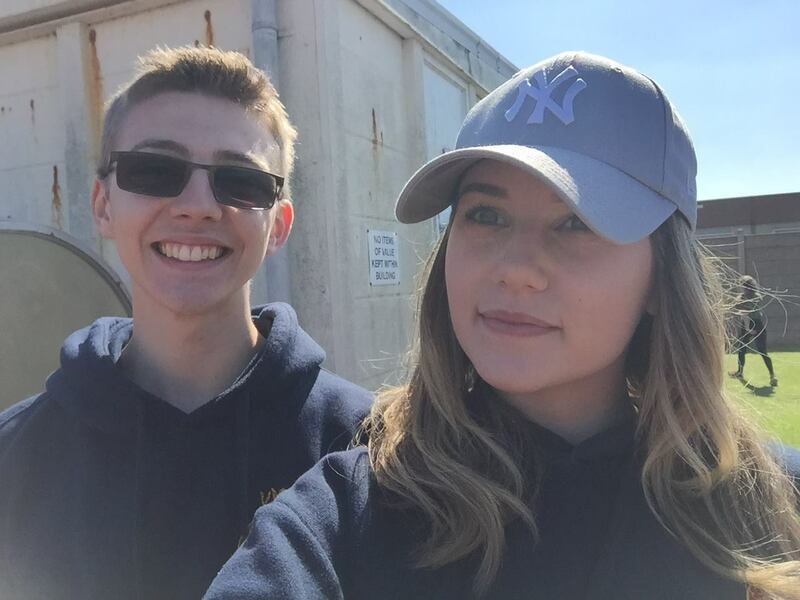 Following this, Cadet N. Wake was selected to represent West Mercian Wing at Inter-Wing Athletics on Sunday 21st May 2017 in a relay team… and they came 1st! West Mercian Wing came 3rd overall.